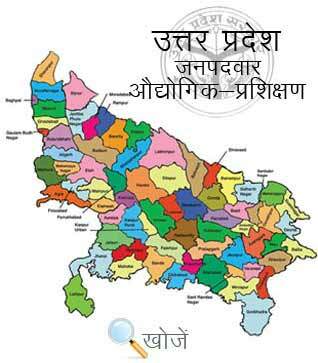 Bulandshahar is a city and the municipal board in Bulandshahar district in the state of Uttar Pradesh. It is administrative headquarters of the Bulandshahar district and is a part of the Delhi National Capital Region. It is one of the quite progressive cities and is famous for its handicrafts, pottery and printed fabrics which are quite famous internationally as well. There are shops at every corner displaying printed cotton sarees and other garments with zari work and zardozi embroidery. The Bulandshahar has good literacy rate of 81.07 % and is decked with some of the best degree colleges and technical institutes such as Babu Banarsi Das College of Teachers, I.P college, Babu Banarsi Das Institute of Engineering Technology and research center etc. It also offers good technical education to the youth. There are 9 Government ITI’s and around 37 private ITI’s in Bulandshahar that offers various technical courses to the students. The minimum age to get enrolled in these courses is 14 years and the minimum qualification is matriculation. The Vyavasayik Pareeksha Parishad, (VPPUP) is responsible for conducting the examination for admission to various ITI’s in the state. Its official website is www.vppup.in from where students can get all the necessary information about admission procedures. Students can also visit the online education portal www.upiti.in which offers comprehensive information to the students regarding online downloading of application form, counselling dates, online admission, checking of results and other important notifications etc.